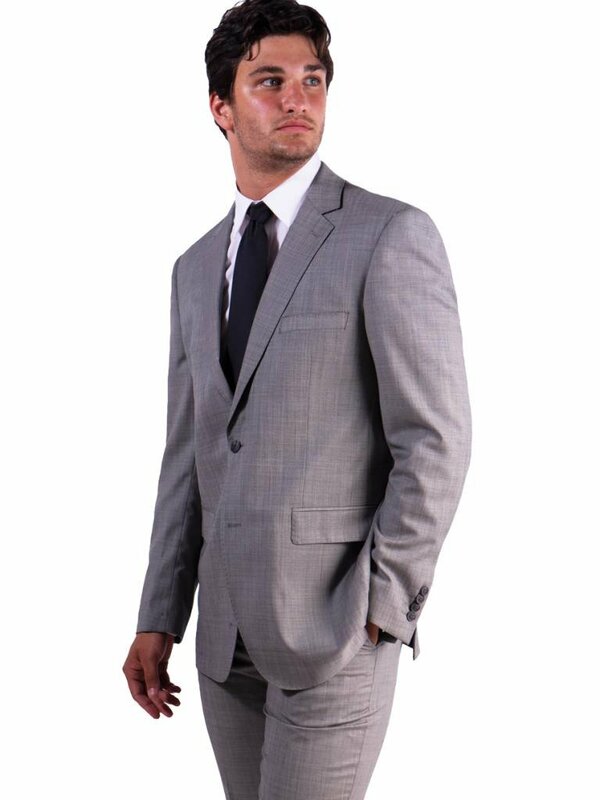 Clean and sharp, in tones that pair well with any special event, this fully lined merino wool suit in silver grey is a groom’s go-to for anytime he wants to level up his style. Even your bride’s family will be impressed. The suit’s classic fit, notch lapel collar and two-button jacket closure complement the 36” inseam, unhemmed trousers for this timeless ensemble. It features multi-climatic, wrinkle resistant, and breathable materials, ensuring all-day comfort. We are pleased to equip you and your groomsmen with our wedding day survival kit! The Shark Fin package starting at $220, is delivered thoughtfully to your door and includes a black label wool jacket, trousers, shirt, and tie of your choice. 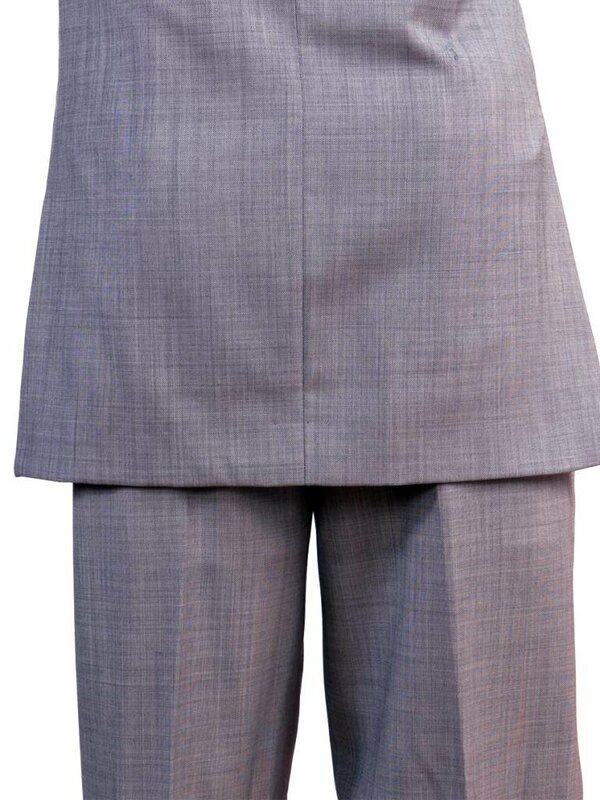 In addition, we provide a checklist, hanger and garment bag to make your wedding day wrinkle-free and hassle-free. Simply customize your fit, choose from the sizing guide, order, and voila! It’s yours to keep forever.